THE REAL ESTATE ENTHUSIAST | Real Estate Trends, News, Markets, Investing and Opinion. Clayton Brown – Real Estate Enthusiast. Entrepreneur. Manager. Graduate Student. Real Estate #blogger. I enjoy learning, straightforwardness, honesty and discussion. Real Estate Trends, News, Markets, Investing and Opinion. Clayton Brown – Real Estate Enthusiast. Entrepreneur. Manager. Graduate Student. Real Estate #blogger. I enjoy learning, straightforwardness, honesty and discussion. 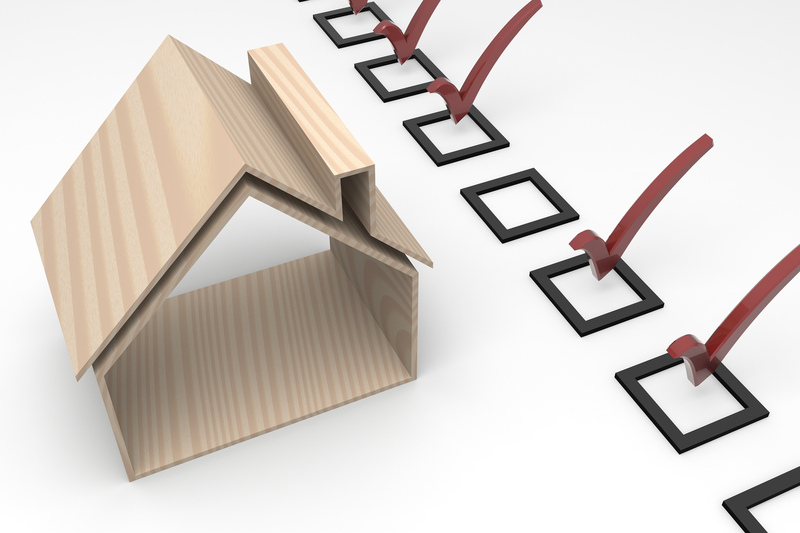 Tips for Selecting a Good Property Management Company for Your Rental. So this is a bit of a follow-up to my previous post about steps you should take when you’re considering renting your house out. At this point you’ve done your homework. You know what amount you can charge in rent. You have added up your monthly expenses, which includes your maintenance and vacancy reserves. 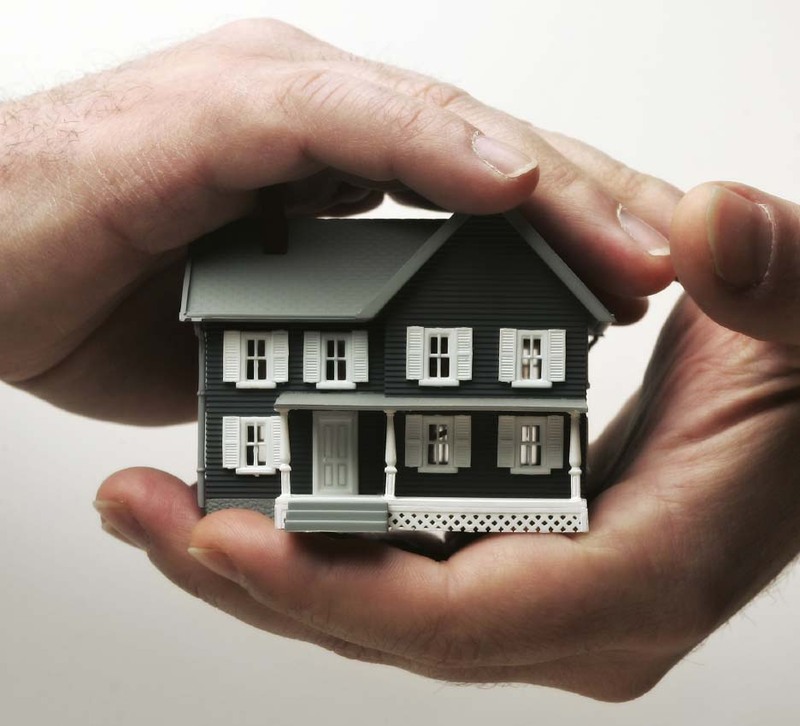 You have selected an insurance policy that is designed for landlords; which includes plenty of liability insurance. Oh, and your policy covers vandalism by tenants and your monthly rent if your tenants have to move because the house is uninhabitable due to a covered claim. Good job. Now the big question; what about the management company? For me, management companies are a love-hate thing. There are good ones, and there are companies that will rip your off every chance they get. It’s unfortunate, but those nasty ones exist. This is why I stress doing your homework. If you’re still on the fence about using a management company, keep doing your research. Keep calling around to whoever is available. Call real estate companies and ask them who they recommend. Do a Google search. When you talk to them, ask for references. Drive by properties they manage and look at their condition. Are they kept up? Compare costs and fees. Don’t skip this part! Maybe you’re on the fence about using a management company because of the costs. (Some charge 11% or more plus various fees!) Perhaps you’re alright with handling the day-to-day operations but don’t want to deal with finding new tenants or the 1 a.m. clogged toilet calls. There are management companies for that too! Certain companies offer a-la-carte management services. You can have them handle advertising and finding/leasing to new tenants and handle the late night emergency calls. Don’t be afraid to ask. With an “essentials” only types of management plan you will be paying less as well. Most full-service management companies will charge you around 10% of the monthly gross rental income to manage your property. When the management company is only handling emergency calls, they may only charge 5%. Finding new tenants might be a fixed, onetime fee. Make sure they are licensed. Here in Nevada, in order to manage properties for someone else, the manager must hold a real estate license and have a property managers permit. This is important. It gives you and your tenant’s added protection. Don’t use them if they’re not licensed! It’s not worth the risk and chances are its illegal. Another important thing to consider is statements. Does the property management company offer monthly and annual statements? Do the upload them in PDF format to a website for you to manage and download? If not, I would find out if they could. Good documentation is important and you don’t want to spend all of your time running the numbers of your rental house. You’re paying the management company; make sure they do it for you! Finally, how well do they communicate? Are they hard to get a hold of? Are they friendly on the phone? Do they answer your emails promptly? It may not be a big deal now, but if something happens to you house the last thing you want is to have your emails ignored. Trust me on this one. Please post questions below and consider subscribing to my blog. Have something you would like to see? Send me a message and let me know! Considering becoming a Landlord? Do These Things BEFORE You Start Taking Tenant Apps. Considering becoming a Landlord? Do These Things BEFORE You Start Take Tenant Apps. Alright, so you’re thinking of renting out your house but you’re not sure where to start. The idea of fixing toilets at 1 am doesn’t sound appealing no matter how much rent you’re bringing in. Dealing with crazy applicants doesn’t seem alluring either. I get it. The good news is that it doesn’t need to be that difficult. In fact, you can be as hands on or hands off as you want. First things first, when making the decision to rent your house you need to do some preliminary things first. First, you need to understand that being a landlord is a big deal. You are responsible for providing a safe, livable home for someone to live in. Tenants have rights, and they vary from state to state. It’s YOUR responsibility to know the laws. This is one reason why a respectable, properly licensed, property management company can be your best friend. They deal with this stuff daily and keep up with current laws and regulations. Either way, you need to educate yourself and be proactive. The next important consideration is the rent amount. How much can you get a month for that pile of sticks? Do your homework. Look up what other homes are renting for in your area. Websites like Hotpads and Rent-O-Meter can be helpful. Compare things like square footage, bedroom number, bathroom number, age, condition, special amenities, etc. Also, don’t be afraid to call property management companies and ask them. After all, who will better than the people who rent houses full time in your area? Consider your expenses! How much will you be spending every month on the house? Utilities: Gas/electricity – Will you pay or will your tenants? Garbage/Sewer – Will you pay or will your tenants? Maintenance – How old is your home? Are there a lot of repairs needed? Is that hot water heater ready to go? Put aside 3% of your monthly rent for maintenance costs. Next, call your insurance company. Let them know you will be rending your home out. Most homeowners’ policies are for owner-occupied homes. If you are going to have tenants, you may have to change your policy to a landlord’s type of policy. Many insurance companies offer these kinds of policies. Also consider adding (or upping) liability and medical payment coverage amounts. Insurance is a huge layer of protection that you absolutely cannot do without. Call around and get quotes. Be diligent. If you are considering using a property management company, then do your homework with them as well. Not all property managers are created equal. I’ll repeat that… they’re not all equal! Call around. Ask about their fees; all of them. What do they charge to rent your home? What do they charge to advertise? What is their monthly percentage of the rental income? Most will range between 8% and 11% of the gross monthly income. Feel the management companies out. If they are hard to get a hold of, difficult to get information out of and charge a fee for everything under the sun, move on. You want to gather this information BEFORE you rent your home. Knowledge is your friend and setting up a solid foundation is paramount to being a successful landlord. Please comment below or post any questions you may have. I’m happy to help in any way I can. Fannie Mae Has Paid You Back! Alright, maybe they haven’t paid you back directly. They have paid pack the US Government. The Federal National Mortgage Association, or Fannie Mae as it’s more commonly known is a government sponsored enterprise (GSE). It was founded in 1938 during the great depression as a part of the new deal. Its purpose is to securitize mortgages made by lenders and turn them into mortgage backed securities. This allows lenders to free up additional capital to make more loans. This, in theory, allows for greater home ownership. In 2008, Fannie Mae was on the brink of bankruptcy. The mortgage meltdown had weakened the mortgage giant and its stock plummeted 90%. They, along with Freddie Mac (another GSE), owned about half of the $12 Trillion mortgage market. 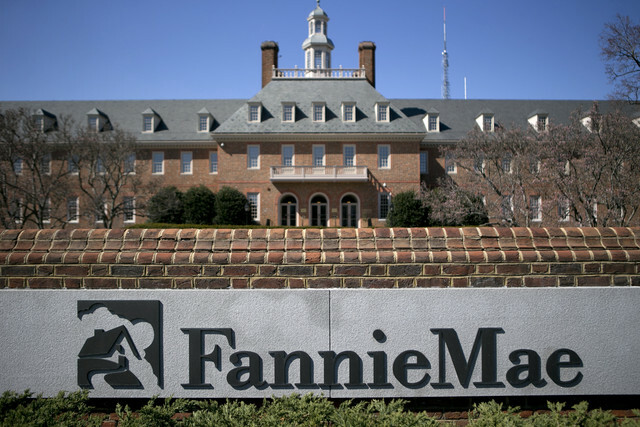 On September 7, 2008, it was announced by James Lockhart, director of the Federal Housing Finance Agency, that the Federal Government would take Fannie Mae into conservatorship. Basically, they took control of the company. By the end, the Federal Government (you and I) would bail Fannie Mae out to the tune of $189.5 billion. Now, the good news; as of the fourth quarter of 2013, Fiannie Mae has repaid the entire debt bailout amount and then some. With an annual record setting income of $84.8 billion in 2013, they were able to pay back the remaining balance of their federal loan. More specifically, they have paid back $192.5 billion dollars to the federal government to date. This is good news for the economy and the housing market. While I don’t prescribe that everything is back to normal with the economy writ large, I’m optimistic. Most people tend to put a lot of the blame on the banks for the housing meltdown. I understand this belief and agree to some extent. Fannie Mae is certainly guilty as well. But, people should place blame on the department of Housing and Urban Development (HUD). HUD changed the requirement for affordable housing loan percentages. This was a prime factor in the mortgage meltdown. At one point, HUD required 56% of loans to be considered affordable housing loans. This lead to Fannie Mae (and Freddie Mac) established programs to buy $5 trillion in mortgages and encouraged lenders to relax standards. This encouragement, in a sense, created a race to the bottom and would feed the drive for lenders to come up with any way possible to qualify people for mortgages. These methods included, among others, the use of no-doc, ARM, negative amortization (NegAM), and no money down mortgages. We all know what happened next; the worst mortgage meltdown in history. While their intentions may have been good, the real world impact of these policies and decisions were devastating. In this case, it created a mortgage feeding frenzy that would end in disaster. I’m thankful that today things are returning to normal and Fannie Mae has paid back the Federal Government, i.e. the US tax payers. Please comment below. Is there anything you disagree with or think I missed? Please let me know. New Year…New Rules For Getting a Mortgage. Joy! Oh joy. We’re well into the second month of 2014 and the new rules created by the Consumer Financial Protection Bureau are in full effect. This agency was created under the Dodd-Frank Act to ban, among other things, the practices that many lenders employed leading up to the housing bubble burst in 2008. 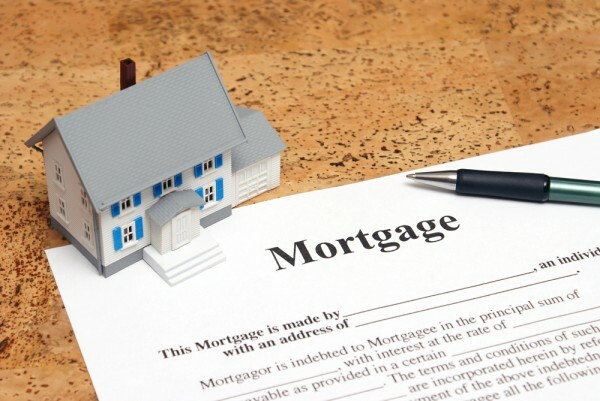 The CFPB also created a new class of loans called Qualified Mortgages (QM). In order for lenders to meet the criteria of a “qualified mortgages”, the loan can’t be interest-only and negatively amortizing. Also, the amount of points, fees, or prepaid interest on the mortgage must not go above 3% of the loan’s value. In addition, the loan’s loan amount cannot exceed a total debt-to-equity income ratio of 43%. (That’s your total debt payment amounts which includes all recurring monthly obligations that affect your ability to repay). Finally, balloon payment loans and anything over 30 years does not qualify either. So what’s the lender get from all of this new rule-following you ask? Good question! If a mortgage lender follows the criteria and meets the standards of a qualified mortgage, then they are basically freeing themselves from liability claims under the Truth in Lending Act (TILA). Consumers won’t be able to use the ability-to-repay defense against the lender. In other words, if the lender meets the QM criteria, they’re placing themselves in a “safe harbor” and consumers won’t be able to sue the lender if they default on the loan. Sounds good, right? Okay, maybe you don’t really care about the lender that much. It is something to keep in mind before pushing the limits on those payment amounts. An interesting question is about the necessity of these rules, or for that matter the necessity of another bureau to “protect” us. Lenders already started implementing these kinds of standards before the CFPB rules went into effect. (You probably know this already if you applied for a loan last year). According to the CFPB’s own publication, 95% of current mortgages already meet this criteria Whether lenders changed their guidelines in anticipation of these rules or if they were just prudent business decisions can be debated, but the fact still remains. So really, there won’t be any dramatic change in the way lenders currently operate and the way you apply for your next loan. The biggest changes may come to the way some full service companies where real estate agents, brokers, title agents and mortgage brokers are all working together. It may be difficult for them to keep their total fee amounts below 3%. It will be interesting to see how (if) the CFPB addresses this. Time will tell. There’s a lot to this. If you have any thoughts on the new rules, or questions, post them below. I’ll do my best to answer them or at least point you in the right direction. Don’t agree with me? Please let me know why by commenting. Thanks for reading. Is the mystery of your credit stopping you from shopping for mortgage rates? No? Maybe it should be! It’s absolutely something that every prospective home buyer should think about. “What’s my credit score?” And, more importantly, how’s is it going to affect your credit score? 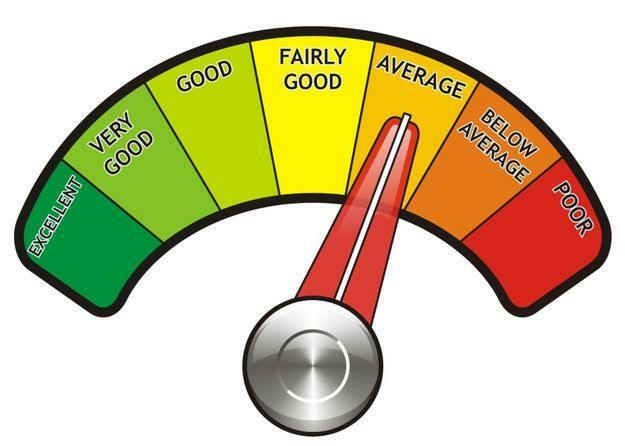 What’s in your credit report? Is that Old Navy card you signed up for in college still in there? Knowing these things makes up some of what you should know before you sit down to check your mortgage rates. First off, I’m not saying you shouldn’t sit down with a licensed mortgage lender. They are good at what they do. What I am saying is that you should know what they’re going to find in your credit report before they do. By this I mean that you should have already checked your credit reports and scores from all three major credit reporting agencies (TransUnion, Equifax, and Experian). Every time a lender checks your credit report they do what’s called a “hard inquiry.” The record of that inquiry goes into your credit report. It’s unavoidable and too many hard inquiries can have a negative effect on your credit. (What the!?) And to top it off, your credit report, once pulled, will only be usable by a lender for a short period of time (usually 90 days). It can potentially take longer than this to fix any errors that may be found. Get a copy of your 3-bureau report and scores. You can do this for free (really, free, no sign-ups or cancellations) at Credit Karma. They will provide you with your 3-bureau report and scores. The numerical scores provided will be your “Trans Union” and “Vantagescore” credit scores. This is important to know because most lenders use FICO (Fair Isaacs Company) scores, which will most likely be different. It’s nothing to worry about, bit it is something to keep in mind. Click here if you really want to know the differences in the scoring types. The main point is to get your credit report and review it for errors and accuracy. Dispute and correct errors, incorrect information, or accounts that aren’t yours. You must do this with your reports from all three credit reporting bureaus. Remember, under the Fair Credit Reporting Act (FCRA), you have rights as a consumer about what’s in your credit report. This includes having incorrect or false information fixed or removed. If your have negative, but accurate, information (like missed payments, collections or charged off credit cards) then talk to the company reporting the information to the credit bureau and ask them about removing it. Many are willing to negotiate with you. Please remember; if you elect to pay off a collection, get it in writing first that they will remove it from your credit file. Dispute inaccuracies, remove negative accounts, and input notes about anything that may be negative like a collection or charge off. You can have copies of disputes and explanatory notes about accounts added to your credit report. If you get some push back from companies about the information they are reporting, don’t give up. Be persistent, be friendly, and remember that you have options. Repairing your credit file is a process. It can take time. By no means is this list all comprehensive. The basic point is that you don’t want to go into the lending office blind. Know what lenders are going to see. Print out and carry a copy of your report with you. There’s a lot to credit and it can become complicated. As a stroke of good measure, it’s always a good idea to check your credit report regularly. You can also do this through Credit Karma. It’s a good way to stay ahead of problems so that you don’t’ have to scramble last second when it comes time to buy your next (or first) home. This credit stuff can get complicated. Please post any questions you may have below or send me an email. I’m happy to help. Cheers. Spring is almost here…well not quite, but does that mean it’s time to buy a new home? Alright, so spring isn’t quite here yet, but it’s around the corner. That means that home buying starts to ratchet up. The weather warms, it doesn’t hurt to roll down your window at the Starbucks window, the sun is out more than nine and a half hours each day and you just want to fork over $150,000 or more on a new pile of bricks. Of course you do but you may be wondering if right now is the perfect time. What if next week the weather is a degree warmer? What if interest rates are a fraction lower in a month? What if home prices go down? What if, what if? Let’s start by talking about the market a little. Right now the median closing price of a single family home in Washoe county stands at $232K. That’s the median close price, not the listing price. The median listing price stands almost $100K above that at $330K. These closing prices represent an average $30K increase year over year from January, 2013. Does that mean prices are too high? Maybe, maybe not. Here’s the good news if you’re a looking to buy; there were only 379 homes sold in January, 2014. These numbers are close to the market numbers of January, 2010. This represents a good opportunity for homebuyers. Lower numbers of homes sold coupled with a relatively high number of homes listed (781) may mean a favorable market for buyers. But, remember that the string of cold weather could have played a part in this and been some of the reason buyers are holding out. Should you start looking now? If you can stand the cold, yes. Interest rates on a 30–year fixed mortgage still stand at 4.48%. Historically, that’s still very low. That’s lower than they were in the beginning of 2011. I make this point because I cringe when people get too hung up on rates and stay glued to the internet waiting to see if the rates will tick up or down a couple base points. Don’t do that. We’ve be spoiled over the last several years with interest rates. They’re still low enough. If you want to buy a home, then pay off some credit card debt, keep putting into the savings account and forget about the new 75” LED TV (for now). While demand is lower, it doesn’t mean that prices will drop. It does mean that you should get out there and take advantage of sellers who may be getting desperate and buyer “competitors” (of yours) staying in and not making offers. Thanks for reading and please take the time so sign up to receive updates or comment below. Cheers. 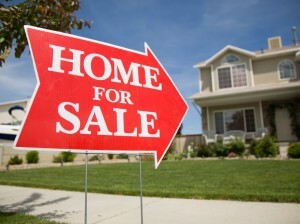 Hello and welcome to the newest premier real estate blog online! Hello everyone and thank you for visiting my site. I’m truly excited for this opportunity to share with the world my love and passion for all things real estate. I’m bringing my knowledge and experience from years of following the industry, attending seminars, completing live courses, completing at-home study courses, and talking/networking with other real estate insiders, industry leaders and investors. I have spent well over $100,000 to date on my quest to figure out the world of real estate and to learn as much as possible from as many points of view as possible. That’s how crazy I am about this stuff. I’m also a proud co-founder of Soaring Property Solutions, Inc., a real estate solutions company in Reno, Nevada that provides help and answers to home buyers and sellers. We specialize in our ability to purchase homes from people who are stuck in situations that would make most real estate agents turn and run. When traditional financing can’t be used because of the homes condition, a cloudy title, tenants in place, or anything else that may make “going the traditional” route difficult or impossible, we can help! 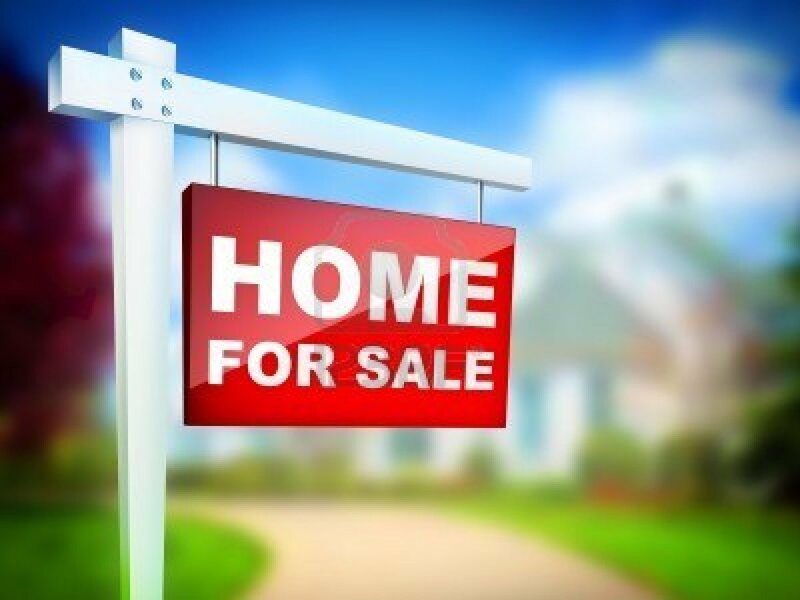 If you want to sell a home quickly without hundreds of strangers passing through and judging your home, we can help! I work with a national network of real estate industry insiders, investors, rehabbers, buyers, sellers, and lenders. This puts me in a unique situation to provide you with the information, answers and solutions you need. This site will serve to be my voice online. It’s my way of passing it forward and sharing with you all that I know and continue to learn. Let this site serve as your focal point for real estate news, market information, trends and opinions. I’m excited to share with you and provide content that will help you, entertain you, answer your questions and maybe even save you some time and money. Please click on the right to follow me and receive updates. The information posted on this site will be informative and interesting. Check back in the following days and weeks for updated original content, news, and opinions. Also please consider emailing me or leaving a comment. I always appreciate open discussion and look forward to hearing from you. If there is anything specific you would like to see, please don’t hesitate to share your thoughts. I want this blog to be the go-to blog in Northern Nevada Real Estate! Do you have a house that you are trying to get rid of? Are you looking for answers or interested in hearing what Soaring Property Solutions can do to help? Let me know and I’ll custom tailor a plan that fits in with your unique situation, timeline and desires. Facing bankruptcy, probate, divorce, or are you relocating? Call us today, we can help! An enthusiast's perspective on real estate news, investing, trends, commentary, rehabbing, and everything in between. Thanks for visiting. Please feel free to leave comments, ask questions, send an email or just say hi. I love talking about real estate and I want to hear what you have to say.